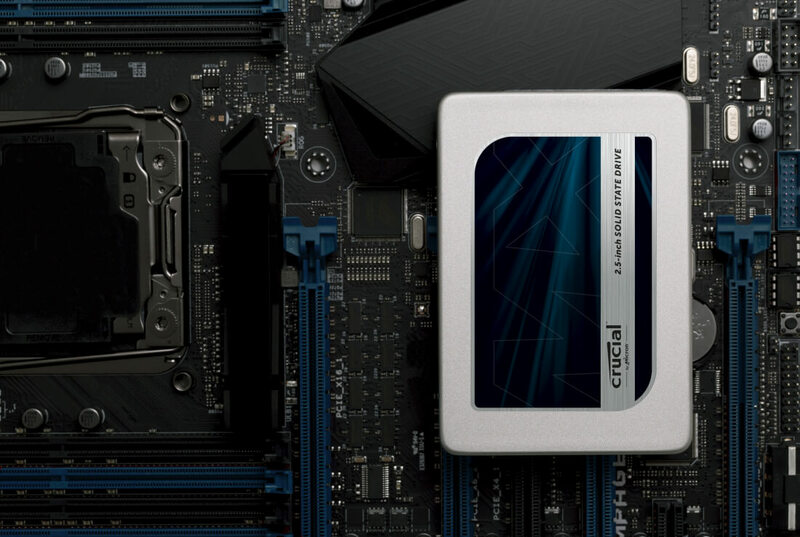 Last month, Crucial debuted the MX300 solid state drive line with a 750 GB model, offering impressive capacity and performance for the price thanks to 3D NAND chips jointly produced by Intel and Micron. All but the 275 GB drive pack the same performance: sequential read/write speeds are listed as 530 MB/s and 510 MB/s respectively, while random performance comes in at 92k IOPS reads and 83k IOPS writes. The 275 GB drive features reduced sequential write performance of 500 MB/s, and reduced random read speeds of 55k IOPS. All four drives are available now in 2.5-inch SATA form factors, although M.2 variants will be coming in late August. The entire series is backed by a three year warranty with rated endurance of 220 TB.